Noam Saper ’15, a Brandeis Chemistry major, has been named a Goldwater Scholar by The Barry Goldwater Scholarship and Excellence in Education Program. 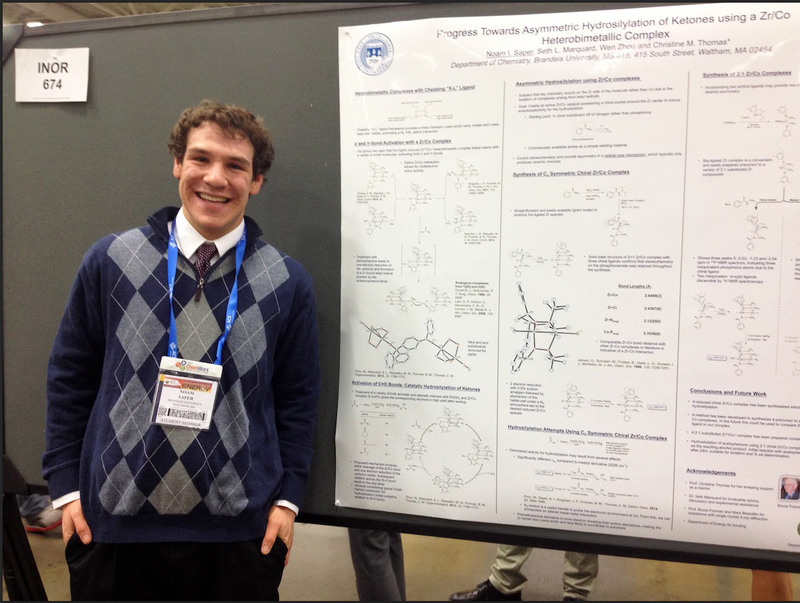 An exceptional student, Noam has been doing research with Christine Thomas and also with Barry Snider, seeking out experience in both organic and inorganic synthetic chemistry, with publication in press already from each lab. Noam was a 2013 recipient of a Division of Science Summer Research Fellowship and a Teaching Assistant for Organic Chemistry Lab. He is also a Lerman-Neubauer Fellow, an Undergraduate Departmental Representative for Chemistry, and an active member in the Brandeis Orthodox Organization, In short, Noam is a hard-working and engaged member of the Brandeis community, and very deserving of this distinctive honor. The Scholarship Program honoring Senator Barry Goldwater was designed to foster and encourage outstanding students to pursue careers in the fields of mathematics, the natural sciences, and engineering. The Goldwater Scholarship is the premier undergraduate award of its type in these fields. Goldwater Scholars have very impressive academic qualifications that have garnered the attention of prestigious post-graduate fellowship programs. Recent Goldwater Scholars have been awarded 80 Rhodes Scholarships, 117 Marshall Awards, 112 Churchill Scholarships, and numerous other distinguished fellowships such as the National Science Foundation Graduate Fellowships. 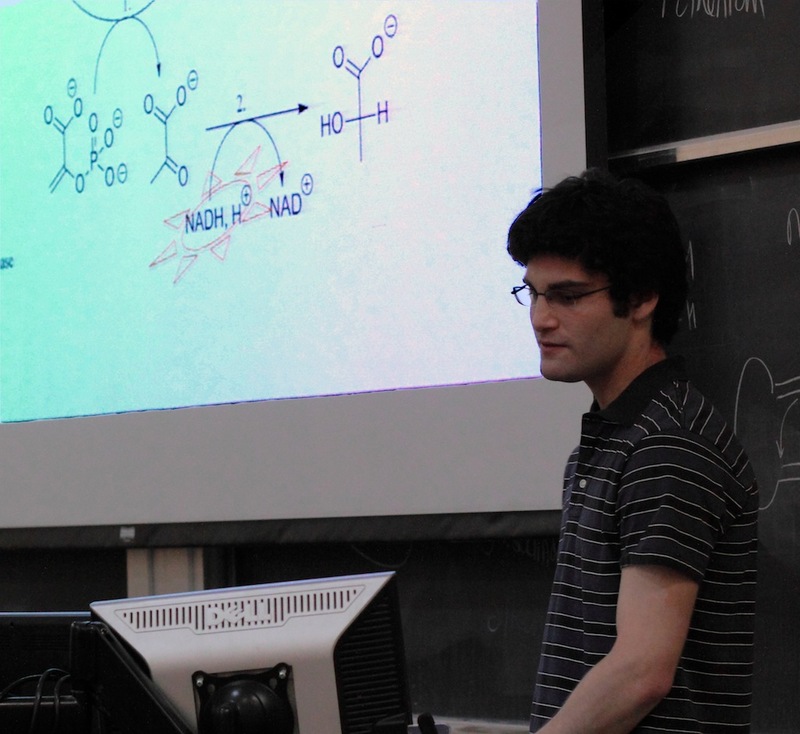 2010 Beckman Scholar Philip Braunstein ’12 discusses his research project in the Hedstrom lab at the last class meeting of Organic Chemistry CHEM 25a. 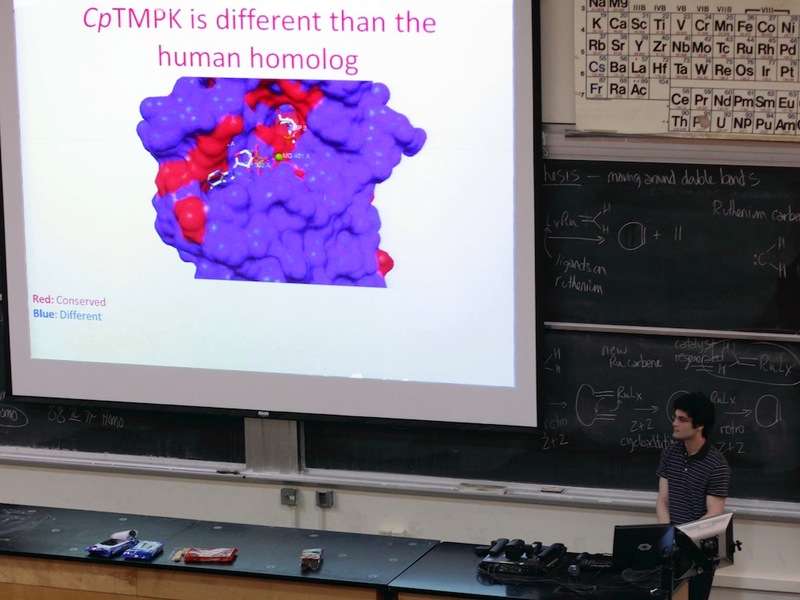 Training the scholars in communicating science and improving the visibility of undergraduate research are key components of the Beckman Scholars program.